The other day I found myself wondering what 2012 signified to me. What have I learned over the past 12 months that has contributed, in some way, to the understanding of my place in the world? 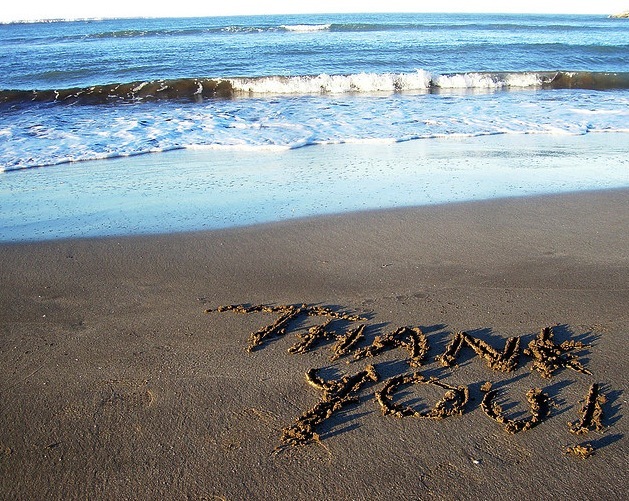 The word that kept coming up over and over again for me this past year was ‘gratitude’. I thought I understood what this word meant, however, I have come to realize that I had only been acknowledging this virtue superficially. I am truly grateful for everything I have in my life. I really am but I have spent more time saying how grateful I am than living it and feeling it. My gratitude wasn’t earnest. I needed a way to take gratitude from my head and settle it in my heart. To really feel, (not think), how grateful I am for everything in my life. For me, this means learning to be okay when things don’t go the way I had hoped and planned. To understand that sometimes life has an alternate route it wants you to take. And sometimes we see things better this way. When I fall on my face I need to appreciate the strength and resolve required to get back on my feet. To be okay saying ‘I don’t know’ and use this as an opportunity to expand my insight into the situation at hand. I must stop comparing myself to others because we all have our own path to walk and to love my parents for who they are and not who I want them to be because nobody is perfect. Humbling. I loved the way she describes how being vulnerable (the very emotion I tried very hard, when I was growing up, to never reveal) was exactly what people embraced who were happy and joyful in life. Being real and authentic allows people to connect with others and it is this connection that we all crave with one another. To live life wholeheartedly, we should start living from our hearts. Living life from the heart is living life with gratitude. I am happy to be alive and I don’t want to waste one more second of it! PC 6 is a great point to help calm an agitated and restless heart and quiet a confused mind. This point is frequently used for insomnia, nausea, tightness in the chest and depression. 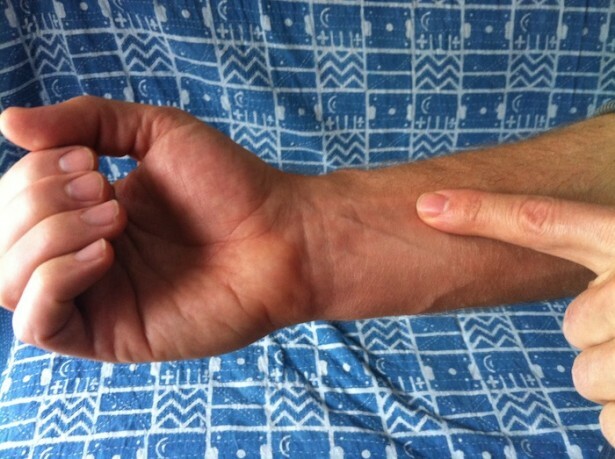 To locate this point it lies approximately 2 inches above the inside of the wrist in between the palmaris longus and flexor carpi radialis tendons.